Any Mario fans out there?! 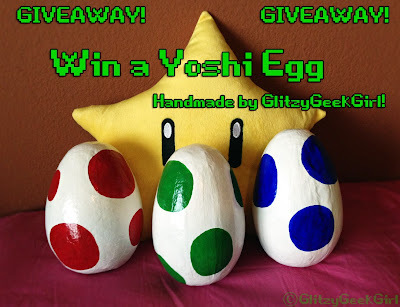 Well here's your chance to win a super awesome YOSHI EGG made by GlitzyGeekGirl!! Check out the tutorial I posted that shows how I made each egg. It was so much fun, and I am so excited to share these eggs with three winners! 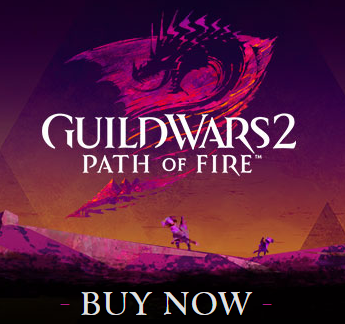 You have until July 20th at 12:00 AM EST to enter. At this time, it is only open to US residents. I will notify 3 winners on Sunday (July 21th) by email. Winners will have 48 hours to reply and provide a mailing address. If I do not hear from a winner in the time allotted then a new winner will be chosen. Each winner will receive one of the three eggs shown above at random. Has to be Link one of the first puzzle games I ever played, and probably helped shape my mind today! Im going to have to go with Yoshi. I know that is lame because that us what the contest is about but I love Yoshi. He is super helpful in mario games too. Mario has always been my favorite ever since the original Mario Bros game. I really like Yoshi. It was the first game I ever got for my Gameboy and I fell in love with him right away. Kirby is my second favorite. Kirby! Kirby's Avalanche was one of my favorite games. I have Epic Yarn for the Wii and love it! Fave character from a Nintendo game. Gotta go with Fox from StarFox. The copter's messing up again! I don't know what the question is, but here's my comment! Those eggs look awesome! No love for the yellow Yoshi? That's ok.. he was always my least favorite anyway. Pikachu is the bomb, made a music video for that dude. My favorite character from a Nintindo game is probably Link from Legend of Zelda. He is crazy cool. Mario is the first video game that I every played! I still play it to this day with my kids! Yoshi is by far my most favorite character!!!! I always liked Luigi best! Someone else said the copter is messing up. Is there a question? I can't see it! 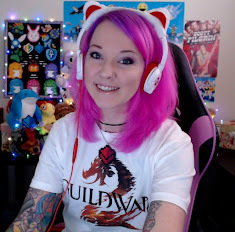 Awesome giveaway though! I'm glad I stumbled on it! Link... Link to the Past... best... game... ever! I love these but if I HAD to pick I would do classic Green. You're super talented in all the crafts you make. I think my favorite Nintendo character has always been Mario. Hi Anna,I prefer Mario ,for me is one of my favorite character.Also all Mario games are cool.